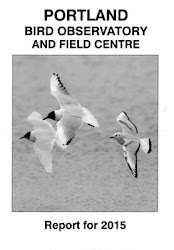 Portland Bird Observatory and Field Centre is an independent organization and a UK registered charity. You are invited to support our work by becoming a Member of Portland Bird Observatory and Field Centre. Membership entitles you to receive the Annual Report, to attend the Annual General Meeting, to use the car park at the Observatory, to use many of the facilities available at the Observatory and to reduced accommodation charges at the Centre. Upon presentation of your current membership card you will be eligible for a discount of up to 20% on the cost of new natural history books purchased from the Observatory Book Shop. To enable us to record your new membership and send you our literature and a current membership card please email us obs@btinternet.com with your address details. We also accept payment by cheque (payable to Portland Bird Observatory and send to Portland Bird Observatory, Old Lower Light, Portland Bill, Dorset, DT5 2JT) or in person at the Observatory.